Your audience – will it be liked? The capabilities of the team and budget – can we do it? The learning objectives of the game – should we do it? The technical capability of your platform – will it work? It needs to be fun/eye-catching/engaging, work well on all devices, and leave the player with an understanding of ice flows and their subtle nuances. 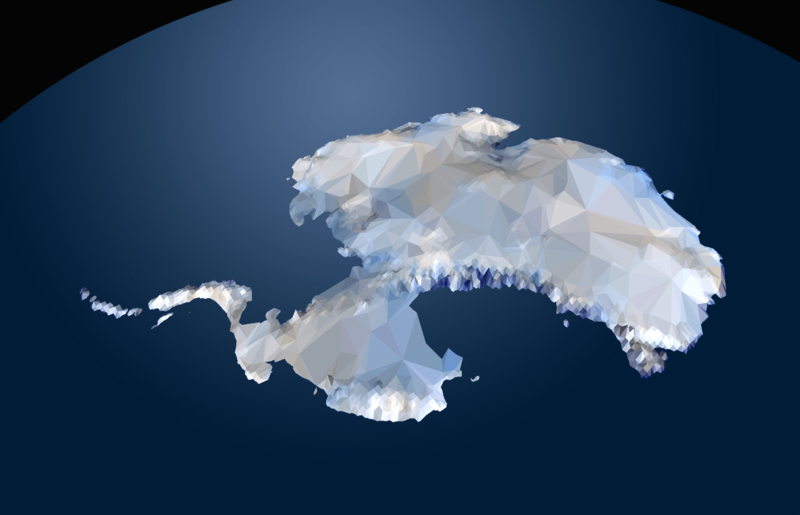 So far, we’re developing a look inspired by the master of low-poly, Tim Reynolds. 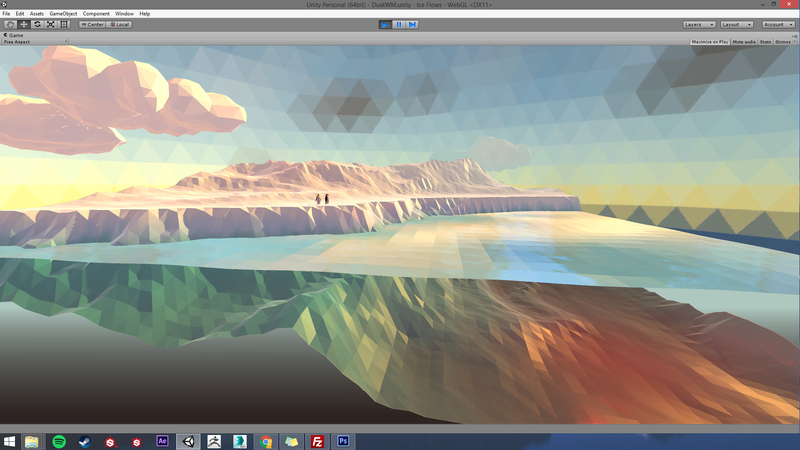 It’s fast, it’s fun and can provide a visually coherent world in which to set our game. It also makes for some awesome landscapes…. First style prototype published to web. 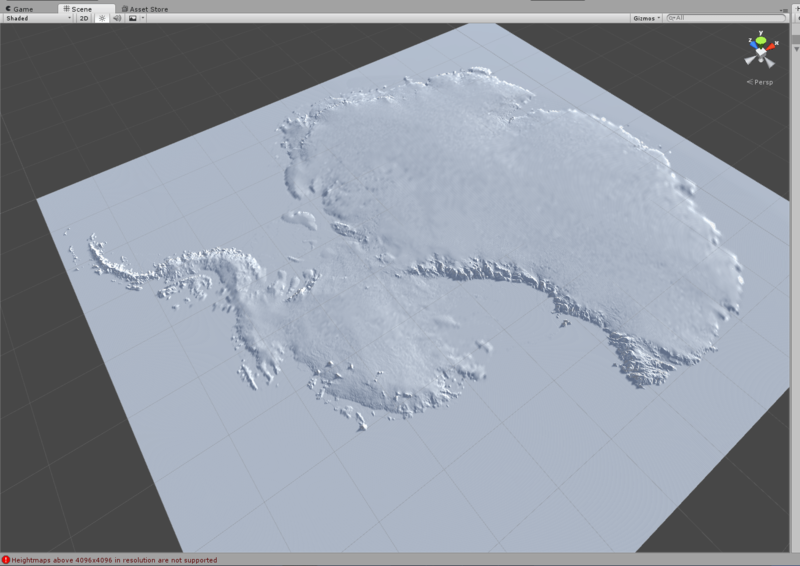 Then using BEDMAP2 GIS data to create low poly terrain. And mapping onto a sphere to create the southern hemisphere.